Social media has established itself as a critical part of any external communications strategy—but the very nature of social media leads to crises that organisations are not always prepared to face. To execute an effective social media strategy, you need to build influence, while leveraging the data that supports a targeted approach. This innovative guide focuses on how to create a holistic social media strategy, and how to defend your organization from social media crisis. 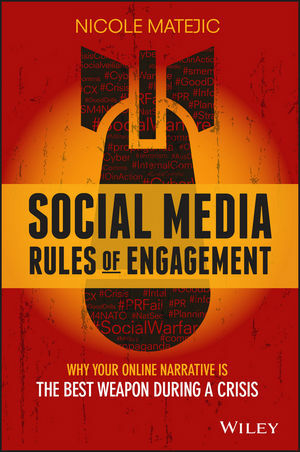 Social Media Rules of Engagement is an integral resource to guide your social strategy toward success. NICOLE MATEJIC is an internationally recognised military information operations adviser and social media crisis communicator. She is the co-founder and CEO of global military think tank Info Ops HQ, a regular lecturer and trainer to NATO, and the CEO of Social Media Monster aka The #SocialFirefighter®, offering crisis communications services and training to both the public and private sectors.